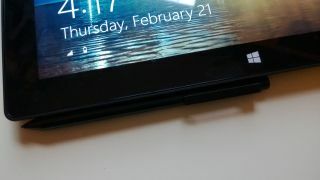 Microsoft tablet takeover lurking beneath the surface? Over three million tablets running Windows 8 or Windows RT were sold during the first three months of 2013, according to new data released Thursday. Research firm Strategy Analytics claimed the unconfirmed sales helped Microsoft's Windows OS snap up 7.5 per cent of the global tablet market share during the post-Christmas period. The figures account for the Microsoft Surface RT and Surface Pro tablets as well as those Windows 8 slates farmed out by the likes of Lenovo and Asus since the launch of the revamped OS. Things could have been even better for Microsoft according to researchers who told CNET: "Very limited distribution, a shortage of top tier apps, and confusion in the market, are all holding back shipments." With the Microsoft Surface Pro finally hitting the UK, Germany and 17 other territories outside of its US in May, Microsoft will have a chance to continue its momentum in the sector. According to the data, Microsoft's surprisingly impressive performance compares to Apple's 48.2 per cent (down from 63.1 during the same period last year) and Android's 43.8 per cent of the pie (up from 34.7 per cent in Q1 2012). Overall, tablet shipments more than doubled from Q1 2012, from 18.7m to 40.8m units with the iPad once again leading the way with 19.5m sold.